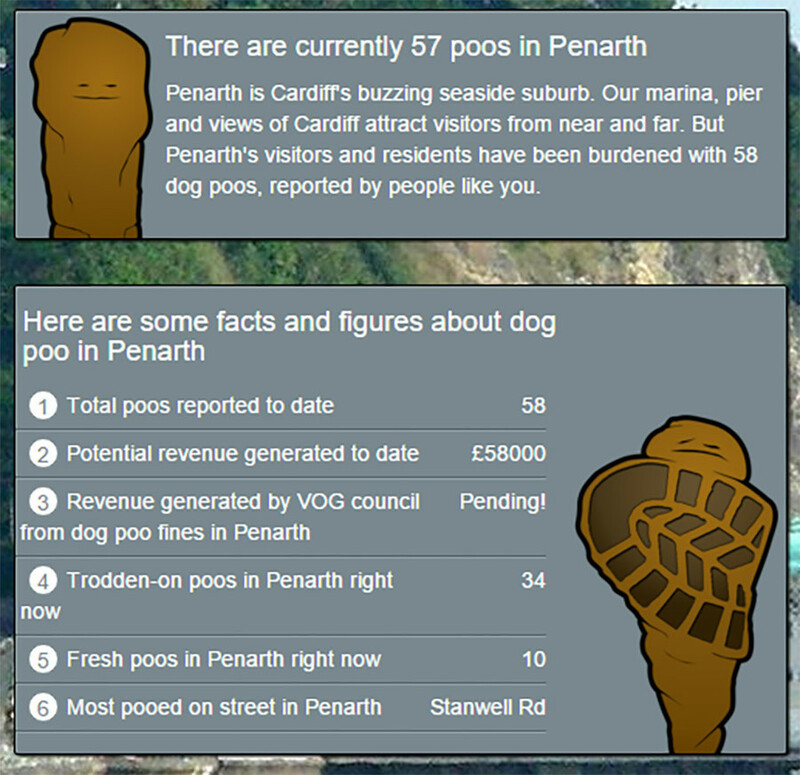 A frustrated resident in the Welsh town of Penarth launched a dog poo-tracking website in an attempt to control the mess. The website’s creator, Alex Sharifi, said the once-picturesque seaside town has been fouled by feces. Poonarth.com lets members of the community “report a poo”, rate its “freshness”, and declare whether it has been “trodden on”. 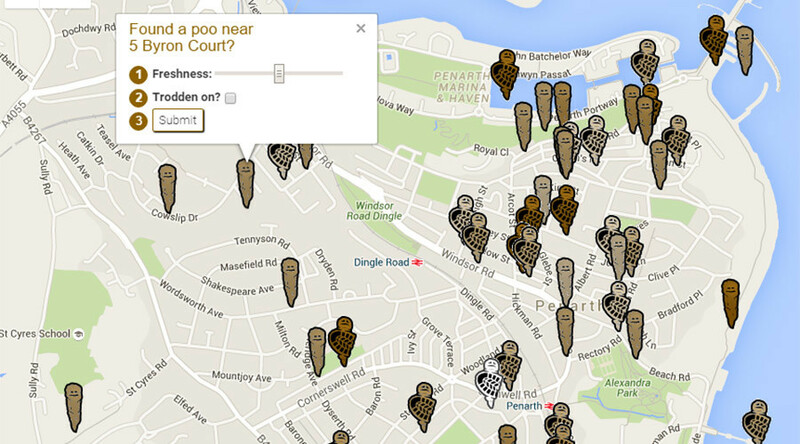 But the dream of quickly identifying the poo’s originator through a doggie DNA database remains elusive. Sharifi, who has lived in the town for five years, says he has never seen the problem on such a scale. He hopes the website, which also tracks the number of potential fines, will encourage dog owners to pick up after their pets, and draw attention to the escalating issue. Perhaps he could add public pools to his list so swimmers know if they're diving into doodie or just a candy bar.